2019 marks the 500th anniversary of the death of Leonardo da Vinci in Amboise, the start of the construction of the Château of Chambord and the birth of Catherine de’ Medici, future Queen of France, in Florence. Throughout the year, over 700 events will be celebrating every aspect of the Renaissance in the Loire Valley! The Loire Valley with its cities and châteaux was the principal place of residence of the French kings. It is considered the birthplace of the French Renaissance thanks to its wealth of political and cultural history and historical heritage. 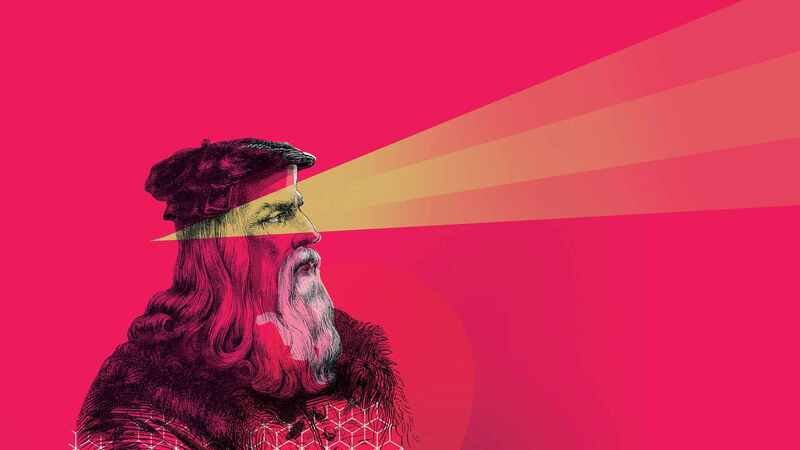 In a reflection of the Renaissance period, 2019 will abound in events illustrating, through a multithemed programme, a spirit of invention, boldness and renewal in every field. More than 700 events will be taking place throughout the year in the Loire Valley. From aestheticism to innovation, festivities to humanist reflection, gastronomy to scientific exploration via artistic and heritage creation… the diverse programme will allow everyone to relive the Renaissance spirit. Leonardo da Vinci left Italy and arrived in Amboise in 1516 upon the invitation of King Francis I. Aged 64 at the time, he brought with him three of his most prestigious works: Mona Lisa, Saint John the Baptist and Madonna and Saint Anne, as well as his notebooks, manuscripts and writings accumulated throughout his life. Francis I made him “First painter, engineer and architect to the King” and gave him the Château of Le Cloux (now the Château of Le Clos Lucé) to live in, just a stone’s throw from the Royal Château of Amboise. The king also paid him a princely pension that allowed him to live and create as he wished. Surrounded by his students at the Château of Le Clos Lucé, Leonardo da Vinci received important figures from across the kingdom, ambassadors and his artist friends. He dedicated his time in his workshops to the many disciplines that fascinated him, including painting, architecture, philosophy and scenography. He organised grand royal parties for which he designed complex scenography using formal decor, living decor, automata and special effects with sound and lighting. Following a request by Louise of Savoy and Francis I, Leonardo da Vinci also took on the role of architect and urban designer with his drawing of a plan for an ideal city to be built in Romorantin (70 km from Amboise). Leonardo da Vinci passed away on 2 May 1519 in his room in the Château of Le Clos Lucé. He was buried in accordance with his last wishes in the cloister of the Saint-Florentin collegiate church at the Royal Château of Amboise. The church was destroyed in 1808 and, several years later, his grave was transferred to the Saint-Hubert chapel at the Royal Château of Amboise. Around the same time, on 13 April 1519, the future queen of France Catherine de’ Medici was born. The Château of Chenonceau, Château of Chaumont-sur-Loire and Château of Blois have decided to pay tribute to this great figure of the Renaissance. At Chenonceau, her apothecary will be reconstituted in the exact same location that it once existed, in the Domes building. At Chaumont-sur-Loire, visitors will be able to discover the room known as the Catherine de’ Medici room, which has been entirely refurnished with new forms of presentation of old tapestries. At the Royal Château of Blois, the home of multiple French royals, the exhibition called “Children of the Renaissance” will explore, for the first time, the habits and customs linked to childhood in the late 15th century and early 17th century in France. 500 years of Renaissance(s) in the Loire Valley will offer a multitude of events, including the reconstitution of decor belonging to the travelling Court of Francis I at the Château de Chambord, a new night-time walk in the park of the Château of Azay-le-Rideau, fun weekends on the themes of Renaissance gastronomy and clothing at the Château of Sully-sur-Loire, and exhibitions in contemporary art centres such as CCCOD in Tours and the FRAC in Orléans.